The cheap telescope (§500) gives a 0% chance of natural abduction. The expensive (§2000) telescope gives a 0.05% (NOT 5 percent, but 0.05 PERCENT) of an abduction occuring naturally when “stargazing” at NIGHT (7pm to 6am — Note that you can only “look through” the telescope during daylight hours, and risk having the first playable sim in the nhood shove/slap you, claiming you’re peeping at them). The Strangetown Curious house is rigged so that abductions are VERY much more likely to happen. Abductions can happen in ANY neighborhood, but the probability is VERY small. 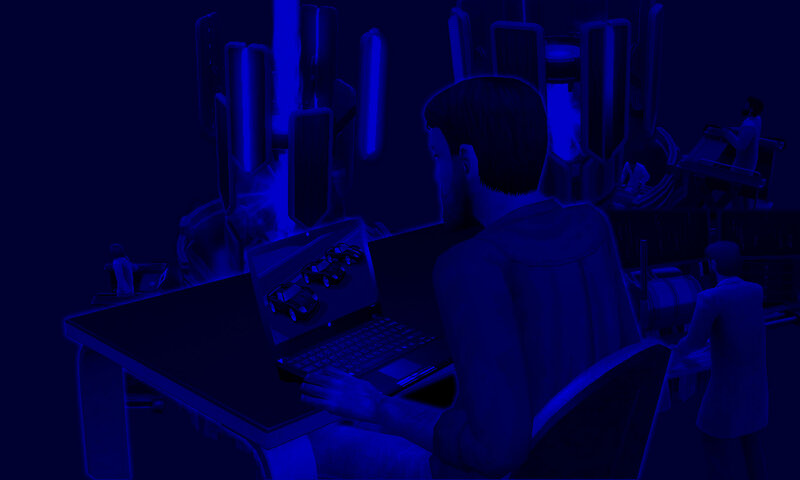 I had another sim who gazed away every night of his adult life with the expensive telescope without ever being noticed by the UFO. Yet another one only spent 3 nights before he was selected for the satellite probe. Only ADULT MALE sims (younger than 3 days to Elder) come back alien pregnant, and you’ll hear a lullaby chime to confirm it. The alien pregnancy progresses like a regular one, and he will give birth to an alien baby in 3 days. The alien baby’s needs are exactly like a normal baby, just that it almost always has green skin and black alien eyes. If you have the FreeTime expansion, and a Knowledge Sim who REALLY wants to be abducted, s/he can spend 4 Lifetime Aspiration Benefit points to purchase the “Summon Aliens” interaction. This can be used on ANY telescope to significantly increase the probability of the aliens abducting the Knowledge sim (completely in-game event, with NO cheats). I had an Adult Male sim who went on 6 UFO rides with this method, once every 3-4 sim days, and has 7 alien-human hybrid offspring to show for it. **BOOLPROP CHEAT: “Ctrl-Shift-C”, Type “boolprop TestingCheatsEnabled true”, Shift-Click your sim, and do what is required. When you’re done, remember to turn off the cheat immediately with “boolprop TestingCheatsEnabled false”, or your game may face serious bugs. You can also use TREEag’s “Sim Transformer” (available at modthesims.info) to give your existing sim the default alien skintone. Note that their eyes will NOT automatically change to the black alien ones.